Broadcaster John Peel's posthumous autobiography is up against books by chef Jamie Oliver and Sharon Osbourne in the WH Smith Book of the Year award. Margrave of the Marshes was completed by his wife Sheila after the broadcaster's death in October 2004. The book also faces competition from TV presenter Jeremy Clarkson, tabloid editor Piers Morgan and JK Rowling's Harry Potter and the Half-Blood Prince. The annual British Book Awards ceremony takes place in London next month. 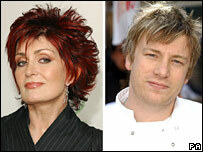 Both Clarkson and Morgan are expected to attend, despite an ongoing feud between the pair. "I am absolutely desperate to win, purely to see Jeremy Clarkson's face as I do a little celebratory conga on stage," said Morgan. Clarkson's verdict on his rival was succinct: "As a writer, Morgan's missing on all cylinders." The awards, now in their 17th year, are the only book awards to be decided by public vote. Other categories include biography of the year, author of the year and the popular fiction award. 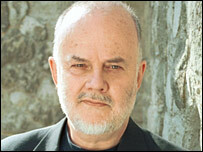 The late DJ John Peel is also nominated in the biography category, alongside Sharon Osbourne's Extreme, Gloria Hunniford's Next to You and Alexander Masters' Stuart: A Life Backwards. The popular fiction award includes Labyrinth by Kate Mosse, the fastest-selling paperback in the UK with 50,000 copies sold in the first week. Mosse faces competition from best-selling authors Jodi Picoult, Audrey Niffenegger and Sophie Kinsella. Booker winner John Banville goes up against Alan Bennett, Kazuo Ishiguro and Carlos Ruiz Zafon in the Author of the Year award. "The awards are absolutely brilliant, so exciting and so much more fun than the Booker or the Whitbread," said popular author Jilly Cooper, this year's chair of the British Book Awards Academy.